Yes, this is the same Maslow who created the famous hierarchy of needs. In exploring concepts such as “peak experiences” and “self-actualization,” he professed that personal growth leads individuals to find greater human potential. 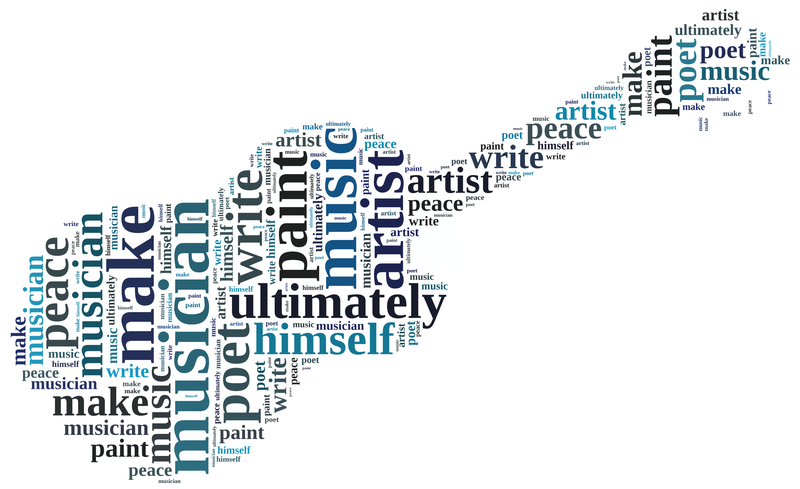 Clearly, he appreciated the mental health benefits of making music, shaping art, and assembling words. In celebration of Maslow’s intelligence, I made this word cloud of his quote.